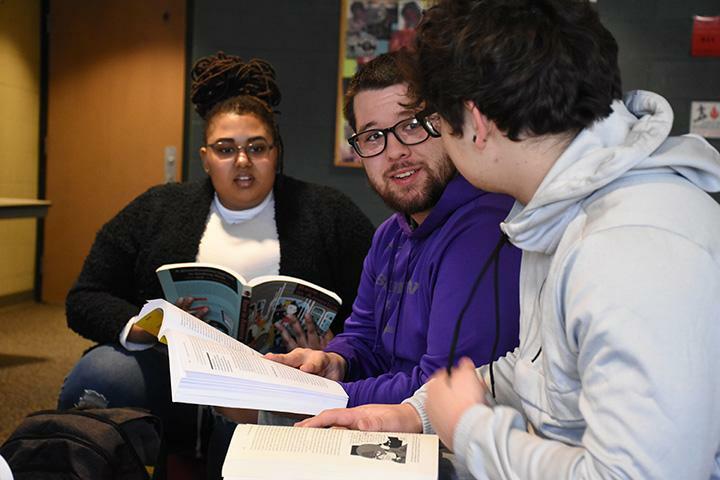 At Bluffton, we believe that “it’s all about relationships.” Life-long friendships are formed in classrooms, in The Commons, on the court, field or pitch, and in the residence halls. 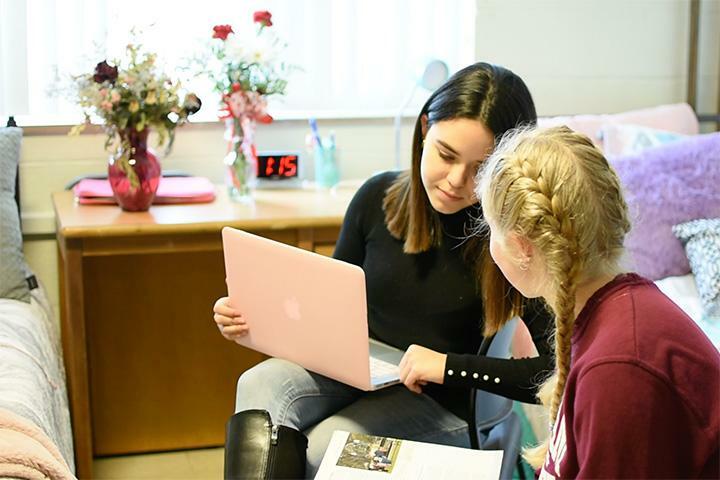 Traditional undergraduate students at Bluffton are required to live in one of the university's residence halls unless they live at home with their parents or spouse and live within a reasonable commuting distance. 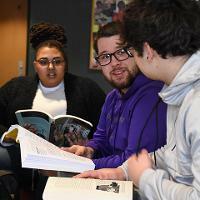 The university is committed to the belief that living with others in a residence hall is an important part of the total educational and social experience of college life. Exceptions must be approved by the director of residence life. There are six halls and one set of apartments maintained through the residence life program. 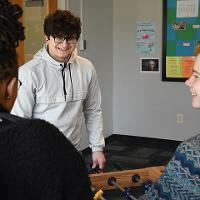 In these facilities, your fellow students serve as support staff, as hall directors, resident advisors and ministry assistants. Bren-Dell Hall sits on the bank of the Riley Creek and houses 95 students. It is a divided hall with men and women living on separate floors. Each of its three floors has a kitchen. A large study lounge is available on the second floor. A spacious main lobby inside the building's main entrance was renovated in 2015. Bren-Dell was built in 1962. Wall dimensions - 11' 2"x 14' 6"
Hirschy Annex, houses 107 students. It is a divided hall with men and women living on separate floors. Rooms on the second and third floor open into a corridor that encircles a floor lobby and computer lab. A main lobby and kitchen are adjacent to the first floor. Hirschy Annex was built in 1966. Wall dimensions - 13' 2"x 14' 2"
Hirschy Hall, a residence hall for 97 men and women, has three floors, with a kitchen on each floor. The ground floor has a spacious main lobby with large windows. Hirschy Hall was built in 1963. A legendary feature of Hirschy Hall is the bronze cast of Noah Hirschy, Bluffton University's first president. It is said that if you rub the nose before taking an exam, you will have good luck! Wall dimensions - 14'7" x 14'1"
Windows - 9'3" x 4"
Neufeld Hall opened in 2003. It is a divided hall housing 108 men and women split up by wing, with men in the east wing and women in the west wing, on all floors. Living in Neufeld is offered to seniors and juniors first. Features includes spacious lobbies and kitchens on each floor, suite style hallways, a game room, conference room and computer lab. Each room is equipped with multi-configuration furniture, high ceilings and large windows. The innovative furniture is designed to provide greater flexibility in how students arrange their rooms. Every student will receive a bed, chest of drawers, a desk and desk organizer, a bookcase and a chair. Each piece interlocks with other pieces to allow for 50 different configurations. No tools, hardware or college personnel are needed when stacking and rearranging. Heavy steel pins assure safety and stability without the sway of traditional lofted furniture. Each room is wired for voice mail, Internet and cable TV. The hall is air-conditioned and fully handicap accessible. Ramseyer Hall is a divided hall, housing 109 students with men and women on separate floors. Features include air conditioning, elevator, a large, bright main lobby and floor lobbies with kitchenettes on the second and third floors. A fully-equipped kitchen and conference room are located on the first floor, with an exercise room in the basement. Individual rooms have high ceilings and open onto a spacious corridor. Ramseyer opened in 1994. Ropp is the largest residence hall at Bluffton University and houses 231 students. A large central lounge known as “The Pit” is located near the main entrance to the building and is a popular gathering place for students. Six of the nine floors in Ropp Hall have study lounges and kitchenette facilities on the floor, while a larger, fully equipped kitchen is located off first Ropp Annex. Two hall computer labs are also located in the building. 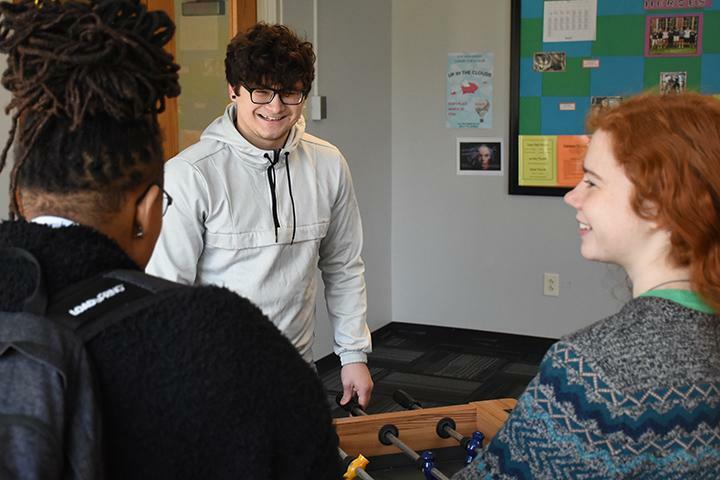 The ground floor of Ropp Hall has an exercise room and is home to the Bluffton Centre for Academic Excellence for students in the honors program as well as the Health Center. Built in 1914, Ropp was the first residence hall for women at Bluffton University. A second wing, Ropp Annex, was added in 1958, while a third wing, Ropp Addition, was completed in 1967. Ropp houses both men and women, on separate floors. Windows - 7' 1"x4' 4"
Wall dimensions - 15' 4"x 11' 3"
Wall and window dimensions - vary by room. Please contact the director of residence life. Beds may be bunked and lofts are permitted in all halls except Neufeld. If you choose to have a loft it should incorporate the bed frame. You may bring additional furnishings, however, no university furniture may be removed from the room, including the metal bedframes. The beds are extra long and the mattresses measure 36" x 80". If you have trouble finding extra long sheets and bedding to fit the beds in our residence halls, the office of residence life has partnered with Residence Hall Linens to provide an easy, affordable option. Each room also has an overhead light, mirror, smoke detector and some rooms have a small bulletin board.